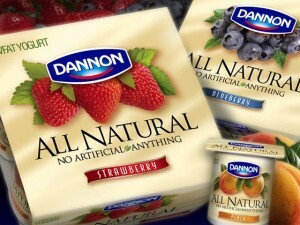 The Dannon Company, Incorporated is a United States subsidiary of French company Groupe Danone. Dannon’s yogurt product competes with General Mill’s YoPlait for being first place in the US market. The history of Dannon started in Spain in 1919. Isaac Carasso decided to start a yogurt business in Barcelona with the goal of introducing yogurt to the city. He named his business Danone, meaning “Little Daniel,” after his son. A few years after starting his yogurt business, he was able to perfect his first industrial production process by combining pure cultures (cultivated in Paris) and the conventional method of yogurt making. Ten years after the company’s inception in Spain, Carasso’s son Daniel decided to introduce Danone to France. When Daniel Carasso emigrated to America in 1942, he decided to establish his first yogurt company in the country and named it Dannon Milk Products, Incorporated. It was a difficult time for the first few years of Dannon’s existence in America as people in the U.S. were not used to eating yogurt, which was already a popular product in Europe at the time. In 1947, Dannon introduced a new concept – yogurt with strawberries on the bottom. This new product was a hit to the Americans, who liked the combination of the fruit’s sweetness and the tartness of the yogurt. Soon, the company was adding more and more fruit varieties in their yogurts. There soon were blueberry-flavored yogurts, orange-flavored yogurts, raspberry-flavored yogurt and lemon–flavored yogurts. After a few more years, the company introduced their low-fat yogurt product. In 1951, Daniel Carasso had to go back to France to take care if the family’s businesses. He left Dannon under the care of long-time business associate Joe Metzger, with the main goal of selling the company. Dannon Milk Products was eventually acquired by Beatrice Foods in 1959, with all the members of the board giving their consent for the sale of the company. In the 1960s, Beatrice Foods started its expansion plans for Dannon by purchasing a second production facility in Ohio. In 1979, Dannon opened another facility in Texas and the company was able to sell the country’s first fresh dairy product. Along with Dannon’s expansion in the United States, Daniel Carussos’ businesses in France also continued to grow, merging with cheese company Gervais in 1967 and then with glass container company BSN. The new company was now named BSN Gervais Danone, which was later renamed Groupe Danone. In 1986, Dannon moved into a new headquarters in White Plains, New York. In the succeeding years, the company has managed to achieve nationwide popularity and is now currently known as one of the top yogurt manufacturers in the country. I would like to know what message you are trying to convey with your newest tv commercial with Shakira ? It is not truthful . THAT IS NOT WHAT HAPPENS WHEN YOU EAT ACTIVIA!!!!! I eat ACTIVIA and love it. It really helps with my digestion problems . As a matter of fact , I have no problems anymore and I attribute some of that to ACTIVIA .